If you’re anything like us, you’ll love keeping an eye on the latest wedding trends. Whether it’s decor ideas or fashion news, we are always keeping our finger on the pulse. Wedding trends come and go, but we thought we’d share our three favourite trends with you today. So if you’re a style-conscious couple who want to rock a modern wedding, settle down and read on about the latest wedding trends. If you haven’t spotted the craze for copper, we don’t know where you’ve been! Once overlooked, this chic metallic has recently taken the world of weddings by storm. A modern alternative to silver or gold, copper is a cool shade that suits an array of wedding venues and styles. It’s the perfect match if you want an industrial meets luxe wedding theme, and it’s glamorous as well as gritty. What’s not to love?! 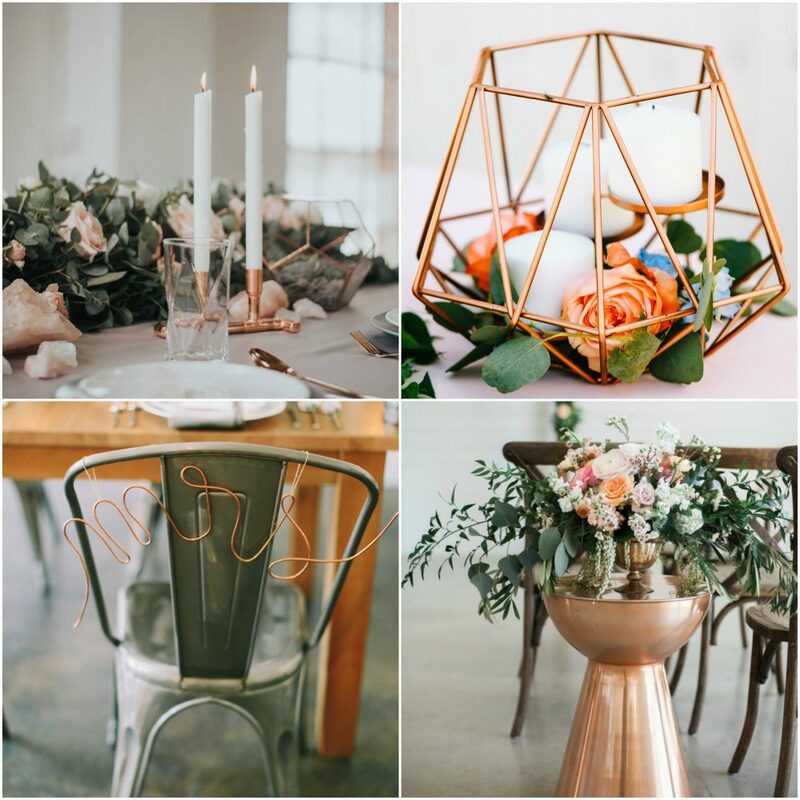 There are lots of ways to incorporate copper into your wedding day details. Decorate your guest tables with copper terrariums brimming with beautiful blooms, tea lights or simple succulents. Copper candle sticks will add a touch of elegance, as well as a warm glow to your wedding venue. You can use them as part of your table centrepieces or to line along the window sills of your venue. Add a dash of copper to your aisle style through your jewellery and accessories, the perfect choice for a fashion-forward bride. Gone are the days where couples were restricted to traditional wedding venues – whether or not it suited their personal style! We love the fact that nowadays, couples are embracing unusual wedding venues and making the most of unique spaces and locations. Whether it’s an abandoned warehouse, an old-fashioned factory or an empty loft space, brides and grooms are getting creative. 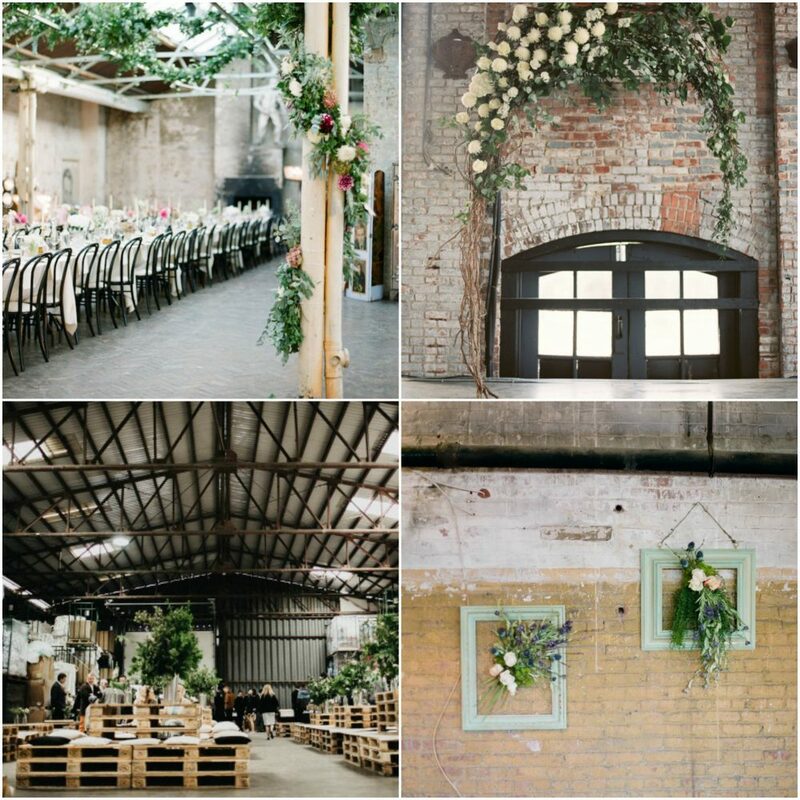 Industrial wedding venues offer a blank canvas where you can really personalise it to suit you as a couple. Channel your chosen wedding theme and make use of the statement features such as exposed brick walls, metal pipes or wooden beams. Your wedding guests will also adore attending a wedding venue in such a different location, and you’ll find that there are so many wonderful photograph opportunities. We also think that an industrial venue is the perfect match for a cool copper colour scheme, don’t you? As soon as Pantone’s Colour of the Year 2017 was announced, greenery graced the pages of wedding blogs and social media everywhere and it looks like this gorgeous trend is here to stay. Green may not be your first choice of colour for your nuptials, but an abundance of foliage and wild greenery really does look beautiful. It’s also surprisingly easy to incorporate into your wedding day too. 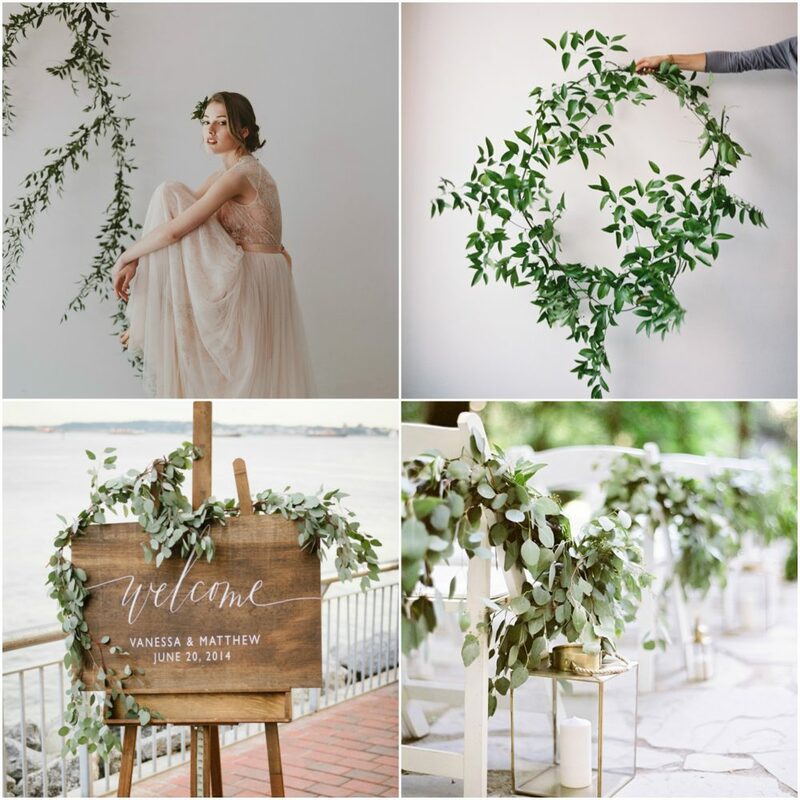 Whether it’s a statement ceremony backdrop, a hair vine or venue decor, there are so many breath-taking options out there. Greenery will give your big day a botanical vibe with a minimalist touch – the perfect choice if you want something simple yet stunning. Line long trestle tables with Ivy and Eucalyptus – a wonderful alternative to a traditional table runner and centrepiece. Opt for an all-green wedding bouquet, you may think you’ll miss colourful blooms but the result is incredibly striking. Hanging greenery installations can make even the simplest of wedding venue look amazing, so be sure to speak to your florist about what they can create!